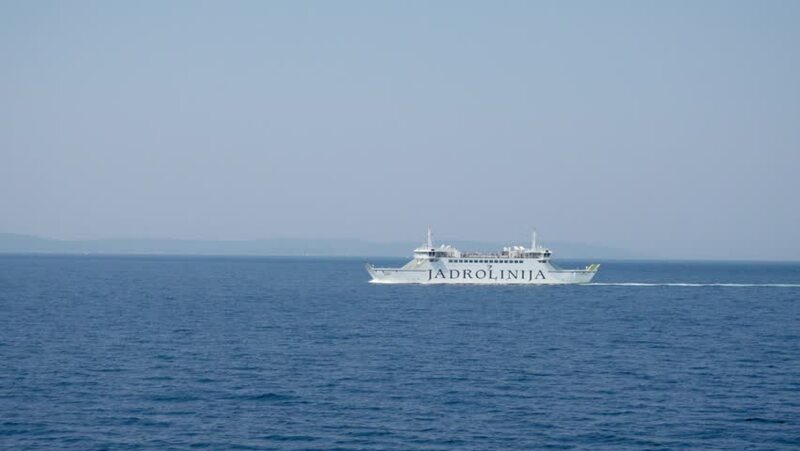 Supetar, Croatia / Island of Brac - 08.01.2017: Ferryboat sailing in the Adriatic sea, Croatia, Europe. A view from another ferryboat. Summer time, August. hd00:05HELSINKI, FINLAND - JUNE 30: Silja cruise liner pass by on June 30, 2011 in Helsinki, Finland. Silja Line is biggest cruise ferry brand for car and passenger traffic between Finland and Sweden. 4k00:11Crimea, Sevastopol. Summer 2015. Russian Navy warships is far from the shore. The peninsula of Crimea, Sevastopol. Summer 2015. Shooting movies in 4K. The shutter speed is 1/50. With the use of ND-filter.